What is Customer Alliance Certificate? Customer Alliance is an independent review provider for businesses, helping them collect authentic customer feedback. This Review Certificate bridges the trust gap between businesses and you – the customer. Every day the same.. Maybe you can add porrige, more fresh fruits. Nice bowl of fruit. Mattress rather hard. Egg chef for prepared eggs? The bacon was undercooked. Needs to be crisp! The cooked part spoilt the rest. Le Grand Hôtel des Thermes Andrew M. Mon, 01 Oct 2018 17:03:47 +0000> The piscine de defence was superb! Not interested in the other offers. Le Grand Hôtel des Thermes Doris R. Tue, 06 Feb 2018 18:47:02 +0000> I come back every year be cause I love the Hotel and the Thalasso cure . Denise and Lionel Z. Leisure traveller 60-69 years old 100% It's a very special Place as it was in June 2012. We Left, wanting to return soon. Le Grand Hôtel des Thermes Denise and Lionel Z. Fri, 29 Dec 2017 19:16:18 +0000> It's a very special Place as it was in June 2012. We Left, wanting to return soon. We hope to have the next opportunity to return very soon. Le Grand Hôtel des Thermes Geoffre P. Fri, 24 Nov 2017 11:09:37 +0000> Good . For first time visitors for thalasso like myself it would be useful to have some printed information at check in to indiacare where and to attend on the first morning ! senechal Leisure traveller 60-69 years old 83% i knew the place i have been client before .As a client i hope to get some advantages . Anonymous Leisure traveller 30-39 years old 83% Overall experience was good and room cleaner was extremely helpful and friendly but a couple of other things were bad. Reservations refused to book me a taxi (and were unhelpful in confirming the reservation), even after I explained I was unwell and had no voice. This is basic hotel management. Le Grand Hôtel des Thermes Anonymous Sat, 28 Oct 2017 23:27:36 +0000> Overall experience was good and room cleaner was extremely helpful and friendly but a couple of other things were bad. Reservations refused to book me a taxi (and were unhelpful in confirming the reservation), even after I explained I was unwell and had no voice. This is basic hotel management. I also felt the spa/thalassotherapy options were unclear. An email 7 days before might help guests prepare. It would also mean they could book in advance (there was no space when I tried to book one package). Gill M. Leisure traveller 60-69 years old 80% Great location,friendly staff. Breakfast a bit expensive. Was sad they did not reply to an email I sent them before our stay. Le Grand Hôtel des Thermes Gill M. Fri, 06 Oct 2017 08:52:39 +0000> Great location,friendly staff. Breakfast a bit expensive. Was sad they did not reply to an email I sent them before our stay. Will definitely stay again, have been coming for the last four years. Lynne R. Leisure traveller 60-69 years old 100% A perfect stay. The treatments are excellent in the Thalasso. The food in the restaurant Cap Horn is very good. All the staff are very friendly and helpful. Le Grand Hôtel des Thermes Lynne R. Thu, 05 Oct 2017 16:18:46 +0000> A perfect stay. The treatments are excellent in the Thalasso. The food in the restaurant Cap Horn is very good. All the staff are very friendly and helpful. To be highly recommended. Le Grand Hôtel des Thermes Rudolf J. Sun, 17 Sep 2017 14:55:35 +0000> Excellent situated location. Le Grand Hôtel des Thermes Soumoy Thu, 07 Sep 2017 07:36:30 +0000> As an amazing time allowing us to restart in our lives. Laetitia de N. Leisure traveller 30-39 years old 83% I spent a joyfull time within your hotel. I will come back soon or later. Thank you for this good experience. Le Grand Hôtel des Thermes Laetitia de N. Wed, 06 Sep 2017 08:29:33 +0000> I spent a joyfull time within your hotel. I will come back soon or later. Thank you for this good experience. I do not lose weights but I see from another the notion of nutrition thanks to your Chef de cuisine et de patisserie and also from the nutritionist. Le Grand Hôtel des Thermes MARA Tue, 29 Aug 2017 18:06:41 +0000> It was an exceptional experience for all the family. Salvi L. Leisure traveller 50-59 years old 65% OK but for me it did not feel like a five star experience! Our train from Paris was delayed so I phoned the Cap Horn to book a table for the first evening and asked them to transfer me to reception so that I could inform them that the Navette should pick us up later. The lady in the restaurant told me that she would inform the reception but when we arrived no Navette! No proper welcome when we arrived at hotel and no one showed us around. We thank you for your comments on the navette problem. We are usually informed by the train station of the delay in the arrivals. We are sorry that you had to wait although you had phoned to let us know , and we sincerely apologise. I am also terribly concerned by breakfast on the first morning. I checked directly with the Restauration Manager to make sure this could not happen again. For the Aquatonic, we are trying to have a private moment just for the hotel clients in the morning. We hope this can be operational next January. We will be pleased to offer 2 entrances for the Aquatonic on your next stay. You have reached the level of Silver Card. Would you wish to receive it with our new brochure next year, could you reply to this mail and give me your postal address? Le Grand Hôtel des Thermes Salvi L. Mon, 21 Aug 2017 17:19:01 +0000> OK but for me it did not feel like a five star experience! Our train from Paris was delayed so I phoned the Cap Horn to book a table for the first evening and asked them to transfer me to reception so that I could inform them that the Navette should pick us up later. The lady in the restaurant told me that she would inform the reception but when we arrived no Navette! No proper welcome when we arrived at hotel and no one showed us around. First morning we were woken at 7 a.m. as they thought that we wanted breakfast in our room which was not the case. Le Grand Hôtel des Thermes Sheryl T. Fri, 11 Aug 2017 16:54:14 +0000> Really nice three day stay in St Malo. I would revisit this hotel. Le Grand Hôtel des Thermes Claude M. Tue, 08 Aug 2017 18:50:56 +0000> A renouveler à la première occasion ! Le Grand Hôtel des Thermes Anonymous Tue, 08 Aug 2017 17:02:36 +0000> We had a good time at the hotel and would come back if happen to be in the area. We would not make a specific trip to stay there however. Le Grand Hôtel des Thermes Mr. & Mrs. N. T. Wed, 26 Jul 2017 21:05:35 +0000> The hotel Manager is very good manager he is a hand on manager and he is always around . He even brought my car from parking lot of the hotel to the entrance when other staff were busy. You can see him move very fast in all part of the hotel to take care of everything. He talk to the gust and make everyone received attention. We enjoyed the friendliness of staff as well. Le Grand Hôtel des Thermes Anonymous Sat, 15 Jul 2017 16:36:02 +0000> a very positive experience, relaxing, comfortable, good for taking care of small health inconvenient and of periods of stress. Anonymous Leisure traveller 40-49 years old 83% The hotel location was perfect and room was very comfortable. Le Grand Hôtel des Thermes Anonymous Tue, 11 Jul 2017 07:08:05 +0000> The hotel location was perfect and room was very comfortable. The two Japanese speaking staffs were very nice to give me recommendation about the town and area near by. Pricing options are confusing and complicated. I enjoyed the aquatonic but think it should automatically be included for guest of hotel not in supplement. I prefer having the toilet and a sink in the same room. When we arrived it smelled a bit stuffy. Le Grand Hôtel des Thermes Anonymous Sat, 08 Jul 2017 11:53:19 +0000> Kids club was very nice, the spa area looks very nice. Getting there on a Sunday was a bit weird though because a lot was closed and I wasn't sure where I could get information. Also a good conversation with dr. DERAT CARRIERE about my health (nutrition specialist; diabetic2 and overall heathe). Le Grand Hôtel des Thermes Astrid D. Fri, 30 Jun 2017 14:10:45 +0000> In general a very good stay to relax and therapy at the samen time; Also a good conversation with dr. DERAT CARRIERE about my health (nutrition specialist; diabetic2 and overall heathe). Good examination and figures on paper. Great view, windows. Clean. Carpet needs updating. Needs new carpet and hallways look bad. Some staff at the bar during lunch were accommodating, but begrudgingly so. Seems fair for the location, but I think hotel guests should be able to use the aqua spa without fee. Also, the place really needs a makeover to the lobby and hallways. Being able to take a cup of coffee to go was not possible. Paper cups would be great. Le Grand Hôtel des Thermes Lisa S. Thu, 29 Jun 2017 07:25:45 +0000> Very good. Place could really use some updating, however, in the lobby, the carpet in the room, hallways--all are due for a makeover. The thalassotherapie is a big draw. Le Grand Hôtel des Thermes Anonymous Wed, 31 May 2017 07:06:35 +0000> Exceptional, great location and close to old town and resteraunts. Thank you for your kind words about the hotel and thalasso. I am thrilled to read you enjoyed our team’s sense of hospitality and that your stay was so enjoyable. Is is an honnor to see that you come from the US to stay at the Grand Hotel des Thermes. Le Grand Hôtel des Thermes Nathalie R. Sun, 21 May 2017 23:18:02 +0000> It was my third thalasso at the Grand Hotel des Thermes and, as previously, I had a wonderful time. I thank everyone for their friendliness, their professionalism, and for making my stay memorable. Insufficient choice of fresh fruits and low calories mets. Le Grand Hôtel des Thermes Anonymous Mon, 08 May 2017 20:47:24 +0000> Spa and thalasso services are excellent. Hôtel services don't merit 5*, but only 4, especially restaurant. Le Grand Hôtel des Thermes Carol M. Fri, 05 May 2017 22:16:12 +0000> I have been here a couple of times before. Really love your establishment. All hotel and spa staff were very helpful and super nice. I would return. Le Grand Hôtel des Thermes Weston Robert & G. Fri, 14 Apr 2017 14:25:51 +0000> We had a very enjoyable visit. Everyone at the Hotel was very kind friendly and helpful and so were the Thalasso therapists. Merci bien a tous! Le Grand Hôtel des Thermes Anonymous Thu, 13 Apr 2017 11:22:18 +0000> excellent stay -will come again! Le Grand Hôtel des Thermes Anne Y. Fri, 07 Apr 2017 10:46:46 +0000> I have been coming back over the past19 years and my experience is better each time I come. This is the first time I came on my own and I will definitely be back again. Next year I hope. Le Grand Hôtel des Thermes John L. Thu, 30 Mar 2017 20:26:57 +0000> Our 16th visit and it is still as good as ever if not better. The arrangements to suit our requirements (eg early arrival) were first class and much appreciated. Overall a very pleasant and relaxing holiday and we look forward to coming again. belle vue, juste pas si facile pr langer le bebe. Pte pièce annexe parfaite pr lui. le café, très jus de chaussette.. Le Grand Hôtel des Thermes Ysabel g. Tue, 21 Mar 2017 23:37:28 +0000> really great. I came with my daughter and her baby. She has been very happy. Everything easy going with baby.. 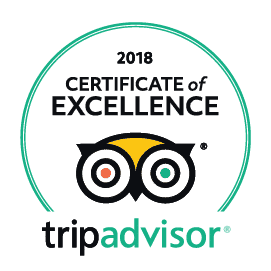 Anonymous Leisure traveller 40-49 years old 93% I have been a client for over 16 years and am very happy to see that the hotel is still offering a high class, luxury experience whilst maintaining a friendly and relaxed atmosphere. Le Grand Hôtel des Thermes Anonymous Tue, 21 Mar 2017 11:43:41 +0000> I have been a client for over 16 years and am very happy to see that the hotel is still offering a high class, luxury experience whilst maintaining a friendly and relaxed atmosphere. I had a wonderful time. Easy access to beach and to intra-muros. Extremely quiet. Very consistent throughout and at every level. Great choice of dishes. I was happy to see that it was served in the Cap Horn, with great sea view. Le Grand Hôtel des Thermes Fabienne T. Tue, 14 Mar 2017 11:37:46 +0000> A real delight. A great experience throughout - both hotel and thalasso. The Aquatonic is a great plus. I will definitely make it a yearly experience with Les Thermes. I have been going to Thalasso centres for five years, although in a different place. Saint Malo has won me over for their setting, the quality of their services, their offer and their staff. Furthermore, it is a family business and I am proud to contribute to their enterprise. Le Grand Hôtel des Thermes Danel Tue, 14 Mar 2017 11:03:22 +0000> Choice should be given to have thalassotherapy treatments with a woman or a man. I requested that this be added to my file but might perhaps requested when you book. Doris R. Leisure traveller 60-69 years old 85% I come every year because I like the Hotel and the Thalasso Treatments. The staff is mostly very nice, kind and helpful. There are some things that could be perfectioned. Le Grand Hôtel des Thermes Doris R. Sun, 12 Feb 2017 18:02:31 +0000> I come every year because I like the Hotel and the Thalasso Treatments. The staff is mostly very nice, kind and helpful. There are some things that could be perfectioned. For example: more fresh fruit at breakfast ( melon?) A shuttle Service to Saint Malo intramuros, Some rooms are too small if you come for 7-10 days, there is not enough space for the luggage/clothes. Le Grand Hôtel des Thermes Anonymous Fri, 03 Feb 2017 07:44:38 +0000> comme d'habitude, j'y reviendrai. Le Grand Hôtel des Thermes Anonymous Thu, 24 Nov 2016 19:33:41 +0000> Excellent we always have a very good time ! Could be cheaper, the room prices itselfs are quite high. too many dogs, some times lying even in the chairs ant then the next person who is sitting there habe all the hairs and other parasite on its clothes. Le Grand Hôtel des Thermes Mario S. Mon, 21 Nov 2016 09:24:14 +0000> A good experience, the programm for the thalassotherapy was well organized In generell too many dogs, that means even if they clean well the rooms, there are remaining always hairs and other things in the rooms. It should be forbidden at least in the bar as it' s already in the restaurants. Le Grand Hôtel des Thermes Anonymous Fri, 11 Nov 2016 18:43:53 +0000> The treatment helpd my back condition effectively. Le Grand Hôtel des Thermes Anonymous Tue, 18 Oct 2016 08:38:03 +0000> Séjour trés agréable ...la cuisine peut s'améliorer. Le Grand Hôtel des Thermes Anonymous Sat, 15 Oct 2016 08:28:22 +0000> Perfect. Staff friendly and professional. Le Grand Hôtel des Thermes Galmiche Thu, 13 Oct 2016 19:02:36 +0000> Very happy. Very accommodating given we had booked one day too many and we realised it 2 days before departure. The fact you didn't invoice us at all for this last day we would have lost was very good and generous of you and this is buying you a lot of goodwill! Concierge was extremely helpful and friendly and front desk staff was excellent too. Extremely expensive, and we're unconvinced it was a good rapport qualité-prix. Food and view outstanding; staff attentive. Beautiful view and excellent drinks, but the staff seemed distracted and unattentive. Le Grand Hôtel des Thermes Vivian T. Mon, 03 Oct 2016 13:50:07 +0000> Our experience had high points and low points—we knew it would be expensive but we expected more from the restaurant(s). Neither Le Cap Horn nor La Verriere had the selection of local seafood we had hoped for, and staff members were so unfriendly that they ruined our evening. When we booked the hotel we had planned on eating there both nights, but were so disappointed in our first dinner that we went to a nearby hotel. This is our third trip to Brittany, because we love it. This was the most expensive stay of our two-week trip, and the only bad restaurant experience. Separate shower preferred. In the bath you have to stand really close to the wall to stand under the shower. Le Grand Hôtel des Thermes M.A. S. Sun, 18 Sep 2016 18:54:58 +0000> Very nice spacious room, friendly staff and atmosphere. Le Grand Hôtel des Thermes MARA Mon, 29 Aug 2016 19:02:30 +0000> All the family enjoyed unforgettable holidays. Many thanks. beautiful location; yards from the beach. Expensive no such thing as a deal! Lots of extras to watch out for. Le Grand Hôtel des Thermes Anonymous Fri, 26 Aug 2016 21:52:45 +0000> Great location, nice hotel, foot hit and miss on taste and quality. Expensive ! Le Grand Hôtel des Thermes Anonymous Tue, 16 Aug 2016 09:47:14 +0000> truly great holiday, enjoyed so much our 1 week stay. We love the piano and nibbles! Le Grand Hôtel des Thermes Anonymous Tue, 02 Aug 2016 10:06:18 +0000> very good expérience. loved it . some things could be improve though : like bathing suits suit dryers in the thalasso!! more care/questions about/warning about allergies. plastic envelops for room cards (key is easy to loose ) better info about "demi pension - like the fact that La Terrasse can never be part of demi-pension) Stagiaires at the des could be a Little better trained. Le Grand Hôtel des Thermes Anonymous Thu, 28 Jul 2016 16:18:17 +0000> An excellent y very confortable experience where everything was really nice from the service to the locations and meals. Thank you for the great experience we got!!! Nice room, but strong smell of sausage during all the stay! Le Grand Hôtel des Thermes S Tue, 26 Jul 2016 09:28:32 +0000> The sauna is very dangerous: non-protected stones and the first day the sand clock didn't function. Le Grand Hôtel des Thermes Anonymous Sun, 17 Jul 2016 16:11:54 +0000> the spa treatments was full because the hours on sundays are only in the mornings . Too Bad! Anonymous Leisure traveller 30-39 years old 80% Good experience. Onze only regret concerning the swimming pool... Old enough. Le Grand Hôtel des Thermes Anonymous Tue, 07 Jun 2016 09:33:32 +0000> Good experience but as we have in others hotels the aquapool with jet may be incled on the price and not cost 22 euros per person. Le Grand Hôtel des Thermes Fred Sun, 29 May 2016 21:26:10 +0000> Une moment hors du temps. Le Grand Hôtel des Thermes Dean H. Tue, 17 May 2016 10:21:42 +0000> Great location; old world spa hotel with a very modern spa. Le Grand Hôtel des Thermes Anonymous Wed, 20 Apr 2016 14:08:04 +0000> Very nice experience, staff very friendly ! Very good service ! Can't remember everyone's names, but each and every member of your staff were very friendly snd helpful. From the bellmen to the maids everyone was wonderful. Le Grand Hôtel des Thermes Anonymous Thu, 14 Apr 2016 17:07:52 +0000> Would highly recommend it! Bath and wash hand basin plug mechanism broken. Bath looked a bit grubby but that was due to age/staining. Le Grand Hôtel des Thermes Anonymous Sat, 09 Apr 2016 20:54:59 +0000> Lovely relaxing two days - setting beautiful and service and staff outstanding. Le Grand Hôtel des Thermes Anonymous Mon, 04 Apr 2016 13:27:15 +0000> Very good and relaxing. Thank you for your comments. I am glad to see you enjoyed your stay in Saint-Malo. During your stay last year, you chose to add some spa treatments such as “modelage ventre plat”, which you didn’t do this year. When you book next time we would advise adding some more spa treatments to you thalasso package. You could also upgrade your package by changing pool treatments to individual treatments. I will inform the thalasso hostesses of your wishes. I am extremely sorry you had problems with the restaurant. I have informed our Chef. We shall take better care in the future. We hope to see you again next year and will do our utmost to ensure you receive the best treatment. Heat should be able to be turned off, it was too hot at night. I ordered hard boiled egg and got soft boiled. Cereal choice on diet menu uninteresting. I hate muesli but had to eat it every day. Special K is lighter. 4th visit, 1st time I was disappointed in the food. My lobster wasn't fully cooked and the waitress made no attempt to rectify even though she rightly guessed that it wasn't cooked and I was still charged for it. Filet of sole on Saturday night was overcooked and rubbery and then it was on the menu again Monday night! This time there were no oysters offered as entrées. I really didn't feel like there was much imagination in the diet menu. Le Grand Hôtel des Thermes Anonymous Fri, 26 Feb 2016 07:49:01 +0000> This was my 4th visit but I was not as happy as other times. There were far fewer individual treatments such as modelage ventre plat in the spa. The one modelage that I had was called something like Modelage Affusions which I really didn't see the point of. I was freezing the whole time with that water. Modelage in a nice warm cabine is a lot more enjoyable. All staff were very attentive and helpful. The staff seemed understaffed and in a rush. Le Grand Hôtel des Thermes Anonymous Thu, 29 Oct 2015 13:39:56 +0000> A very lovely stay and we would come back for sure. The staff made it really, all very attentive, helpful and friendly. From room service to the concierge and porters. Le Grand Hôtel des Thermes Anonymous Thu, 29 Oct 2015 00:02:19 +0000> Excellent hotel! Loved the room, location, service (not in restaurant). Loved the aquatonics.